Kids getting tired of the same old breakfast? They’re going to love these courgette bites! They take just minutes to make and your kids can customize them anyway they want! Are you looking for some new fun options to spice up your kids’ breakfast routine? It’s so easy to fall into a cereal rut, which certainly isn’t bad…but variety is what kids want! So, delight your kid this morning. Try these super simple courgette bites. Now enjoy watching them get devoured in just minutes. Read on for how to make them, and don’t forget to print out the recipe card so you can make them tomorrow morning! Tip: Allow your kids to dress up their courgette bites with different toppings. That will add to the fun, instantly! Cut the courgette into rings. Do not make them very thin. Just dab the courgette rings with olive oil, salt and freshly cracked black pepper. Place in a foiled baking tray and bake for 20 minutes at 225 degrees C.
Flip the rings over after 10 minutes. That’s it! Take them out of the oven after 20 minutes and place a dollop of goat cheese on the top. 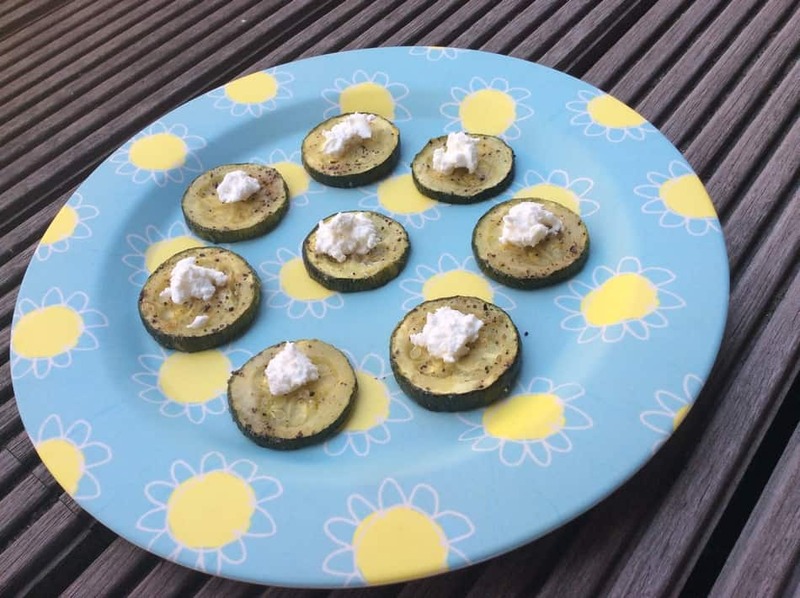 Like I said above, the fun is really in letting your kids dress up these courgette bites any way they want! Did you know that courgette is another word for zucchini? Here are a few other topper ideas that go well with zucchini! You can even top them with scrambled eggs or a bit of quinoa! 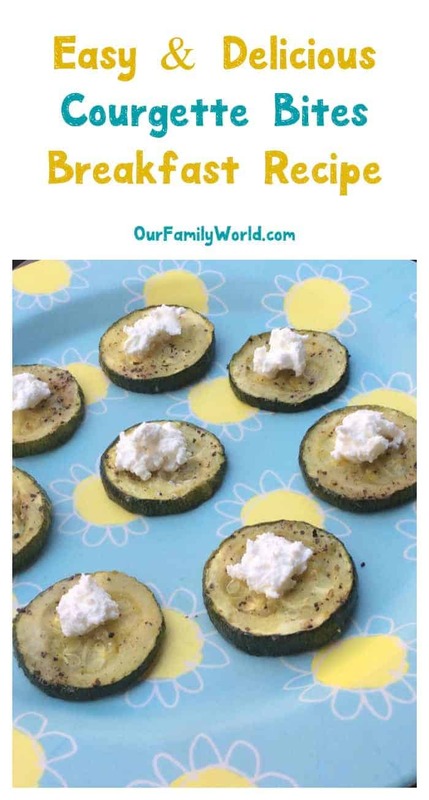 Have you ever tried courgette bites before? What would you put on yours? Share below! I have never heard of Courgette Bites before! They look yummy! Yum! This sounds like such a great idea. I think this would be a big hit in our house. We will have to try it. I have to try this easy recipe for sure.They look so tasty!Thanks so much. This is excellent…an easy recipe that I can do!